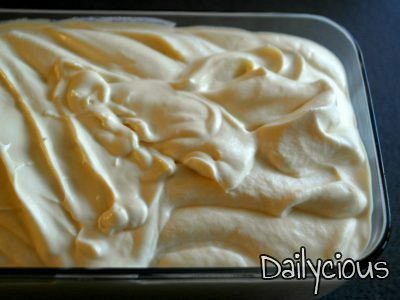 This is the easiest recipe for homemade silky-smooth ice cream, in a wink of an eye. 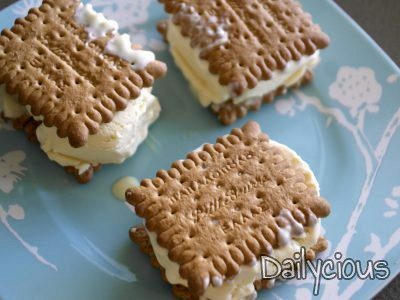 It only requires two ingredients – heavy whipping cream and condensed milk – and no ice-cream maker. 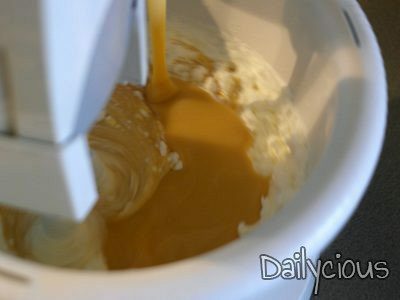 Prepare the base ice-cream adding coffee, cocoa, vanilla or orange zest for added flavour. When ready combine it with biscuits, chopped chocolate, fruit puree, pieces of cake, nuts, caramel or candied fruits and have a layered ice cream or mixed dessert with your desired fixing. Go nuts and improvise! 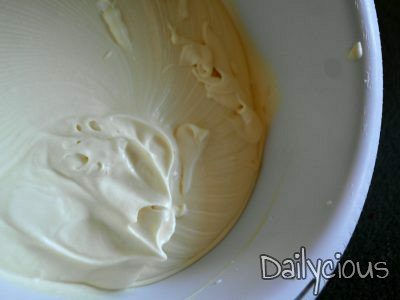 Poor the heavy cream in a mixing bowl, add the extract of your choice (if using) and beat in medium speed with (stand or hand) mixer until soft peaks form. If using orange or lemon zest, cocoa powder or instant coffee, heat the heavy cream just before boiling point and add the ingredient of your choice in. 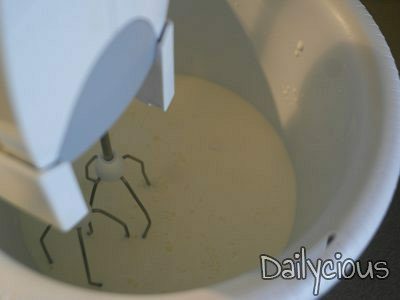 Let it infuse or dissolve for 5’ while stirring and remove heavy cream from heat. Let it cool, place it in the refrigerator to chill and beat until soft peaks form (step 1). Turn down the speed and pour the condensed milk into the whipped cream. Be careful not to deflate the mixture too much or over-mix. Place in a large resealable container, smooth the top and then press a piece of wax paper against the surface to prevent ice crystals from forming. Freeze at least 6 hours or overnight before eating. 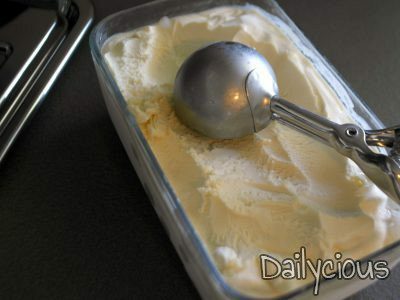 If the ice cream is to firm, place it in the refrigerator for 20-30’ before serving. For best texture and flavour, eat within two weeks. Mix-ins like chopped chocolate, biscuits, nuts, caramel and fruit purée swirls can be layered or gently folded into the ice cream before being transferred to the freezer container. 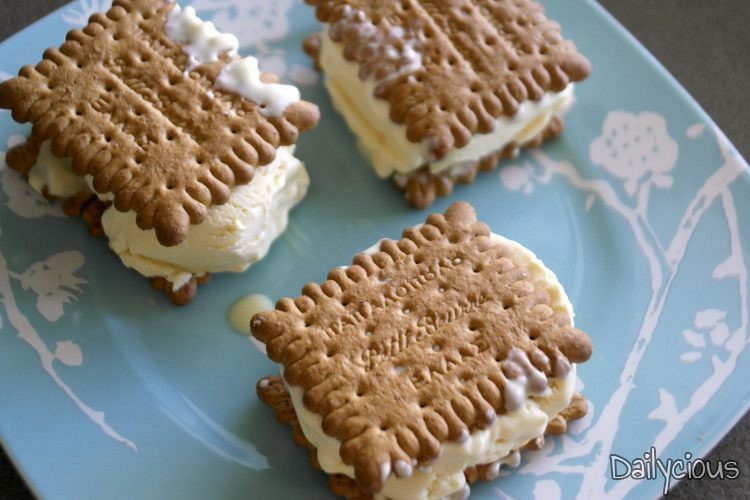 Alternatively, prepare ice cream sandwiches with petit-beurre or other kind of biscuits of your taste and enjoy! Kids will love this! 1 tsp good quality extract like vanilla, coconut, mint or almond etc.